Our goal is to provide exceptional care in a comfortable and welcoming environment. Our team’s goal is to treat you well, make you well, and help you stay well during your lifetime. 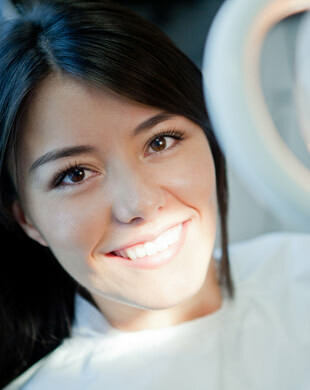 Your initial appointment starts by reviewing your dental and medical health. The examination will include charting of your mouth, gum tissue, and teeth, oral cancer screening, blood pressure screening, TMJ evaluation, and updating of necessary X-rays. “Cleaning” of your teeth is usually the first treatment initiated. The unique size and condition of existing restorations, oral hygiene level, elapsed time since your last hygiene visit, and thoroughness of recent hygiene visits all help us determine whether treatment will be simple or more involved and require several visits, sometimes with anesthetic. For this reason, this treatment is scheduled after a thorough diagnosis. You should plan on being here for about 80 to 90 minutes. In many situations, we are able to discuss the conditions in your mouth and recommend proper treatment on the first visit. For more involved cases, we may need more time to review the X-rays, create models of your teeth, review results of the examination, and meet with specialists. If you need pre-medication with antibiotics for dental treatment (such as for heart valve replacement), please call us and we will get a prescription ready for you in advance. Regular preventive care is an essential part of maintaining a healthy smile! The American Dental Association recommends a visit to your dentist every six months for regular checkups and routine teeth cleanings to keep your teeth and gums healthy. As we mature, risk for periodontal disease may increase, which can be reduced with increased frequency of periodontal maintenance. We understand you have a busy schedule, so when you’re preparing to visit us, please remember your appointments may last between 45 and 90 minutes.